For all of the advancements made in film technology in the last 90 years, one thing that has surprisingly remained a constant is the choice by directors to shoot their films at 24 frames per second. The reason for this is because films shot at that rate have a more "cinematic" look, but it also has its drawbacks, namely motion blur when the camera pans quickly or an object on screen is moving at high speeds. The natural fix for this is to shoot at a higher speed, but the drawback is the loss of the aforementioned look. 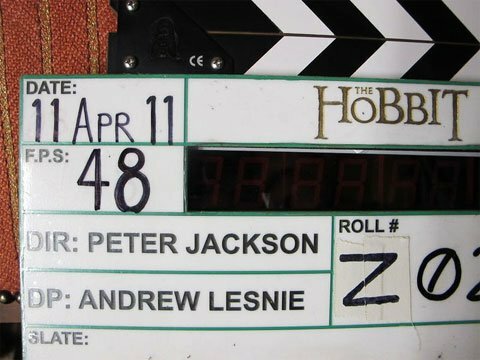 One project squarely in the middle of the debate right now is Peter Jackson's The Hobbit, which is currently shooting at 48fps. Many fans have logged complaints about this decision, but now Jackson himself has come forward to explain his decision. Posting an extensive note on his personal Facebook page, the director has explained why he is making his newest film at a higher frame rate, saying that the change has not only resulted in everything looking more lifelike, but it has improved the 3D watching experience. Speaking to his critics directly - saying "Film purists will criticize the lack of blur and strobing artifacts" - he has assured us that once we see the film we will be convinced that it was the right choice, as he has many film purists on set who have become converts. Perhaps most significantly, he likens the move to the shift between vinyl records and CDs, saying, "There's no doubt in my mind that we're heading towards movies being shot and projected at higher frame rates." In addition to the explanation, Jackson also posted two new set photos, including one of him standing next to the productions 3D video setup, which you can see below (along with the note in its entirety). We should also be expecting a video blog, which the Jackson says should arrive in the next couple of days. In the meantime, check out all the goodies below. We are indeed shooting at the higher frame rate. The key thing to understand is that this process requires both shooting and projecting at 48 fps, rather than the usual 24 fps (films have been shot at 24 frames per second since the late 1920's). So the result looks like normal speed, but the image has hugely enhanced clarity and smoothness. Looking at 24 frames every second may seem ok--and we've all seen thousands of films like this over the last 90 years--but there is often quite a lot of blur in each frame, during fast movements, and if the camera is moving around quickly, the image can judder or "strobe." So we have lived with 24 fps for 9 decades--not because it's the best film speed (it's not by any stretch), but because it was the cheapest speed to achieve basic acceptable results back in 1927 or whenever it was adopted. 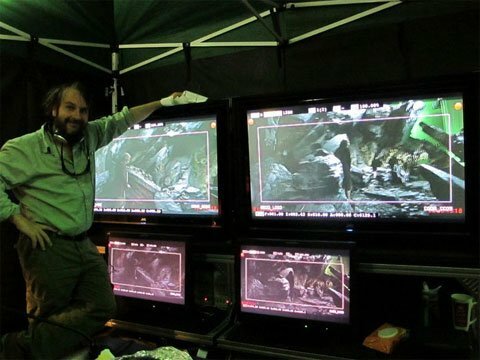 Warner Bros. have been very supportive, and allowed us to start shooting THE HOBBIT at 48 fps, despite there never having been a wide release feature film filmed at this higher frame rate. We are hopeful that there will be enough theaters capable of projecting 48 fps by the time The Hobbit comes out where we can seriously explore that possibility with Warner Bros. However, while it's predicted that there may be over 10,000 screens capable of projecting THE HOBBIT at 48 fps by our release date in Dec, 2012, we don’t yet know what the reality will be. It is a situation we will all be monitoring carefully. I see it as a way of future-proofing THE HOBBIT. Take it from me--if we do release in 48 fps, those are the cinemas you should watch the movie in. It will look terrific!